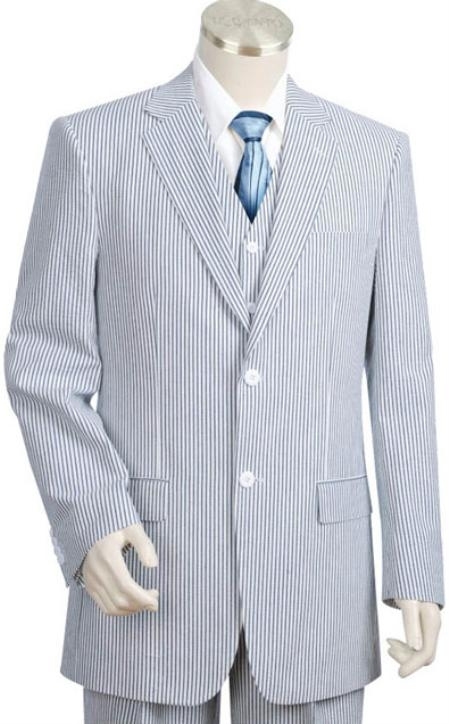 As summer is here to make you go gaga over cotton oriented clothing collection, it is one the best times of the year to fashion a few seer sucker suits on the streets. You might be a cool person who will need a suit like you for a simple business meet at a guest house. 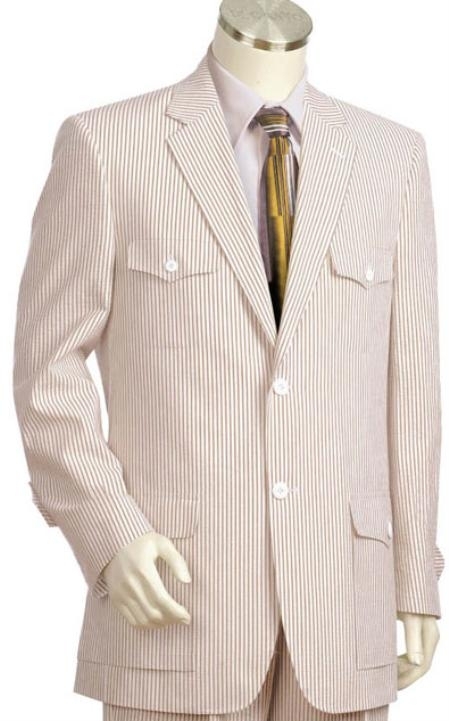 All you need to do is to get a few sets of seersucker suits that look classic as well as cool with a lot of attitude that matches the scotching summer season. Chill yourself with this full cotton fabric and look how easy it to impress people with your casual look is. Anyone who owns a seer sucker suit will know how good it is for your skin as well as your style. The biggest advantage of this special fabric variety is its unique wrinkled pattern. This is one advantage of the fabric that makes it a hot pick among men who love suits that need less maintenance. Another best thing about seer sucker fabric varieties is that this super cool fabric is really capable of keeping your body cool with ample space between your skin and the fabric. This allows a lot of air flow for your skin and it is really good enough to maintain your body temperature low during the hot season. Seersucker is what poor people used to wear during 1940s as it was seen as one of the cheapest fabrics that were worn by working class men and women who needed something to keep them comfortable and cost very less. As a contrast to this situation, now a day we are able to find the most costly suits made from this fabric by top designers. Seer sucker suits are surely a best thing anyone can opt to wear and summer is the right season for this fashion friendly textile.